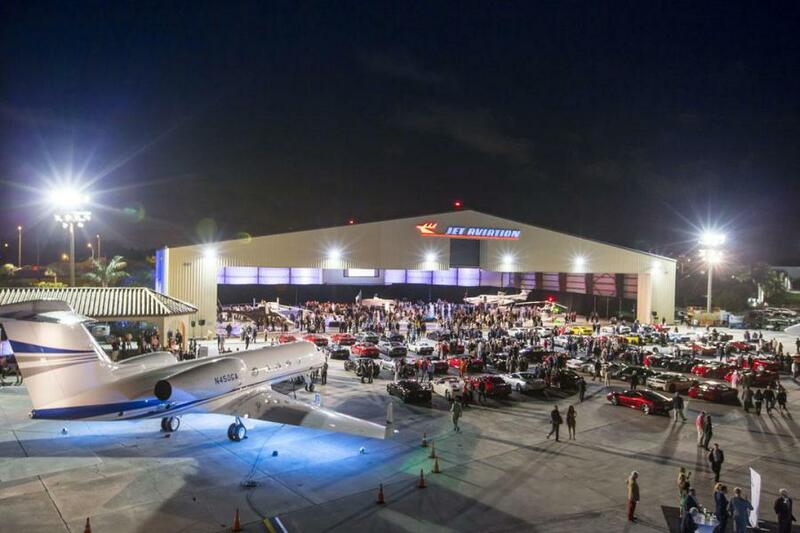 Whether you translate it as "beautiful car" or "beautiful machine," both were in abundance at ?Jet Aviation's 17th La Bella Macchina, a charity event held Jan. 26 in conjunction with The Cavallino Classic, showcasing exotic cars. The weather was as perfect as the private jets and Ferrari automotives on display. JetLease President Russ Dise was joined by JetLease team members Jennifer Dise, Chris Moralle and Bill Costa at the event, where hundreds of attendees voted on their favorite car, got up close and personal with state-of-the-art private aircraft and had a chance to bid on auction items.